The 11th Annual Rosie Shootout in Atlanta, Georgia, held over Labor Day weekend, got off to very bad start. During the first game of the tournament on Saturday September 1st, Tiano player Rico Carty Jr, son baseball great Rico Carty passed away in the dugout of a heart attack. This was probably my darkest moment in my 50 years in baseball. I had a hard time dealing with this but I had to be calm at the same time. Since I had teams from New York and Alabama I decided to not to shut the tourney down. However, I gave Ralph Garcia (Tianos Manager) the option to continue on or be refunded. I told him to take as much time as he needed to discuss it with his team. 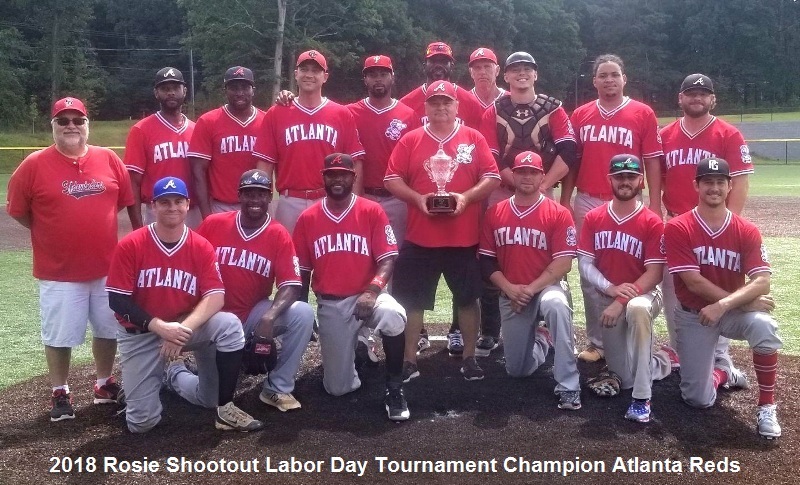 They came back with “Rico would’ve wanted us to continue.” The UAG Tianos went on to win four straight and advanced to the Championship versus the Atlanta Reds, only to come up a little short of the championship. In the Championship game the # 1 seed Tianos, behind the brilliant pitching of manager Ralph Garcia, held the Reds to just six hits over eight innings. However, the Reds Pat Merkling went the distance allowing just five hits and one run while striking out five. The Tiano`s only run came in the fourth with two outs as Brandon Perry doubled to right and Cody Krause followed Perry`s double with a run scoring single. The Red`s tied the game in the eighth with a leadoff single by Ted Pratt. Pratt advanced to second on a throwing error then Rocco Callaway laid down a sacrifice bunt while Taylor Bowle’s sac fly scored Pratt from third. The Reds took the lead in the ninth when Josh Black led off with a single and quickly stole second. Back to back walks and hit batsman lead to the winning run. Ted Pratt, Pat Merkling and Taylor Bowles we Co-MVP’s. Ted and Pat each won two games and Taylor’s clutch hitting not only helped the Reds get to finals, he drove in the tying run in the championship. The Reds captured their fourth Rosie Cup in what is considered the best played championship game to date. 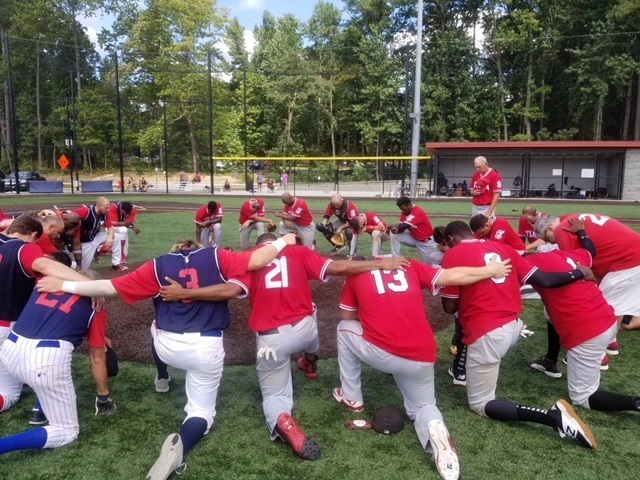 What started out as a very dark and gloomy weekend brightened when both teams met at the mound after the game to pray for Rico and the Carty family and to give thanks for the game that Rico and we love so much. On a side note, starting in 2019 the league will honor Rico by awarding the tourney MVP with the Rico Carty Jr. award.